For pre intermediate students. 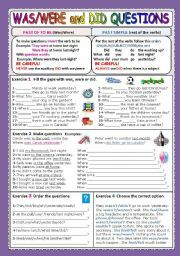 Brief grammar notes and exercises to practise. WITH KEY. I hope you find it useful. 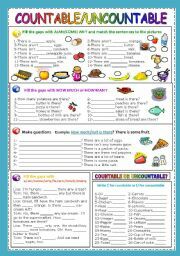 Countable and uncountable nouns, A/AN/SOME/ANY, There is/are and How much/many. I hope you find it useful. I´m going to use this ws next week, I hope it will be useful to my studends. I´d be thrilled if it was useful for your students too! With KEY. Have a nice week. Indirect questions. 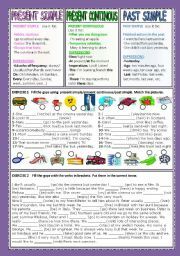 Brief grammar notes and more exercises. My students find them a bit strange. When they learn how to make questions they have to get used to inverting them. Now they don´t have to invert and that´s why they find it hard. I hope this will help them and yours too. With KEY. 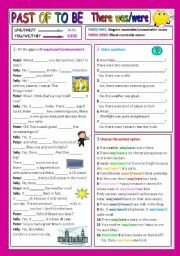 Brief grammar notes with exercises to practise. I hope you find it useful. WITH KEY. 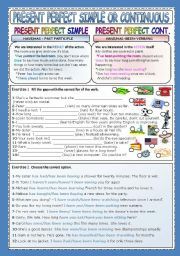 Brief grammar notes and exercise to practise. With KEY. I hope you find it useful. 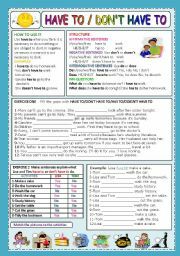 Grammar guide and exercecises to practise. With KEY. My project 2 students know the present simple, the present continuous and the past simple quite well but SEPARATELY. When I mix them they get confused. They are going to need a lot of practise if they want to improve the results of the last exam they took. I hope this exercise will help them. I hope you find it useful too. WITH KEY. 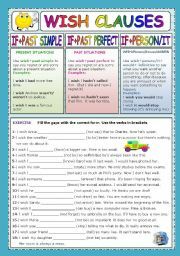 I made this worksheet for the students who have just started to learn the present perfect. 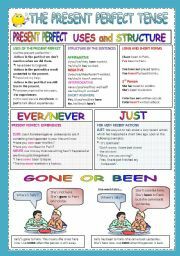 Easy sentences and introduction to ever/never/just and gone/been. I hope you find it useful.